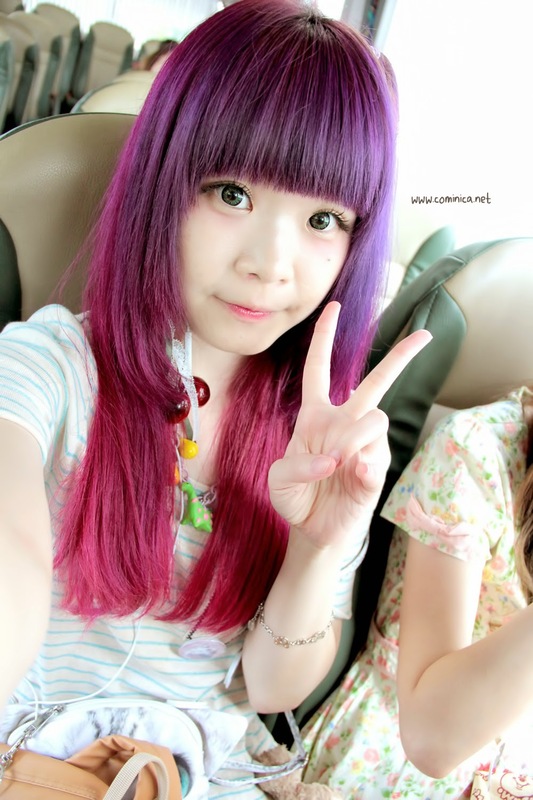 Some of you probably already know that I changed my hair colour before my summer holiday to Hongkong, hehe. I posted some on Instagram, Facebook and Twitter too. And received so many compliments (thank you!) and of course questions! So this time I'm going to share how I get my current hair colour. I bought these hair colour during my trip in Japan and it was a random finding on Donki's rack. I was looking for any pastel hair colour at because I love pastel so much, especially pastel purple/lilac. And I found a rack with some Hair Dyes brand including Manic Panic. 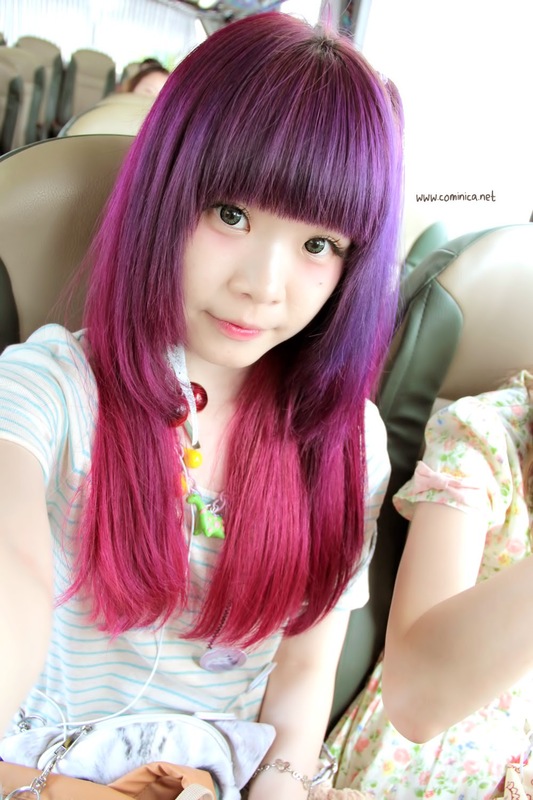 After some thoughts I decided to buy Plum, Magenta and Pink hair colour. The brand name is Stargazer, actually I've heard this brand before including La Riche, Special Effect and Manic Panic. And this is the result, haha! It becomes a dark purple with beautiful magenta colour. ♪ The result is quite same like Manic Panic colour. ♪ My hair isn't become dry but quite unmanageable. ♪ Don't dye your hair if your hair isn't in a good condition. ♪ I can't 100% sure that other's people result will be same like me, it depends on everyone's hair tone and type. ♪ The colour can fades if I'm sweating and stain my clothes, so beware! Avoid it. ♪ Every time I wash my hair it becomes a purple river on my shower LOL. ♪ and my towel becomes dirty too with many puple and pink stains. Perfect hair color, you look super cute! Anyway, are you coming yo AFA? ci,ngestyle rambut pake apa ?